ClassPass is trying a different approach with their promotions. With referrals you get $40 for each friend or family you refer, but now if you refer three friends from March 24, 2019 through April 5, 2019, you’ll get more than just the $40 per referral. 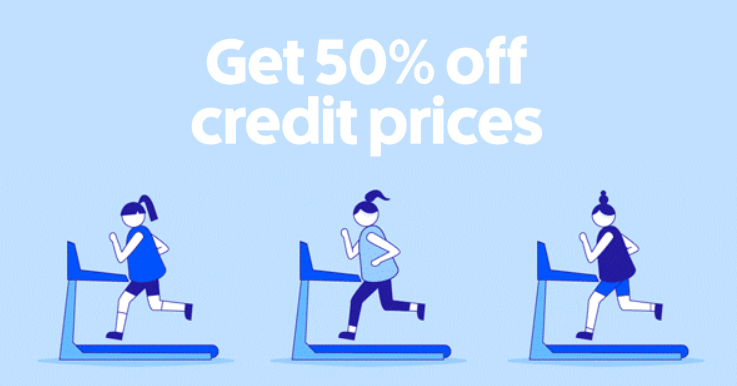 You can each 50% off ClassPass credits, that means thousands of classes will be yours to book for 50% less than normal for an entire month! That’s real savings if you tend to buy credits every month to supplement your monthly subscription. That means more chances to hit up a class with your new ClassPass friends. The half off promotion on credit prices will be applied to most classes for the entirety of your next subscription month. Though it excludes some premium classes, specific studios, and Wellness experiences from the promotion. To be a successful referral, your friend must sign up using your referral link, which can be found by clicking above. For each friend you successfully refer, $40 will be applied toward your membership fee in the next subscription month after the one in which your friend signs up. If three friends sign up between 03/24/19 and 04/05/19, you will see a 50% off on the credit rates at participating studios during your following subscription month that follows the end of this promotion — that’s either April or May! Start referring!